It's one of the cafe in my visit list! 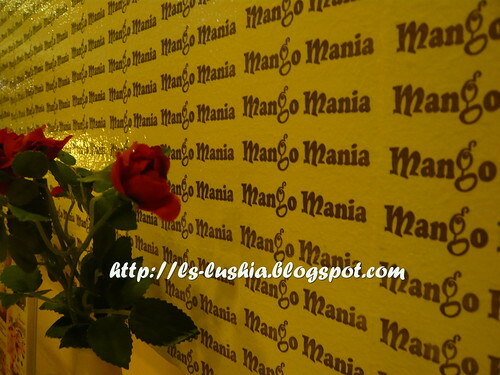 And finally... me, the mango lover visited Mango Mania, a dessert cafe that serves exotic mango flavored desserts. 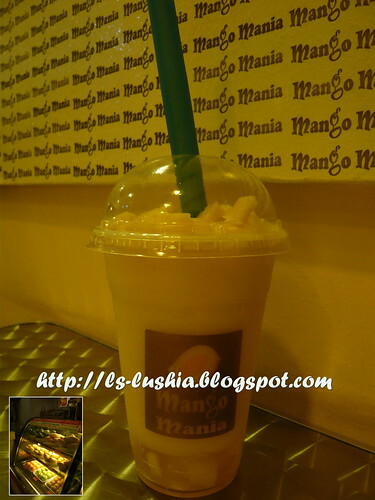 Ice blended mango juice serve with mango pudding, mango jelly and cut mango cubes. The combination of chewing aromatic mango jelly while slurping down the ice blended mango juice is appealing and satisfying. It's a thick but non creamy drink, a delightful treat! 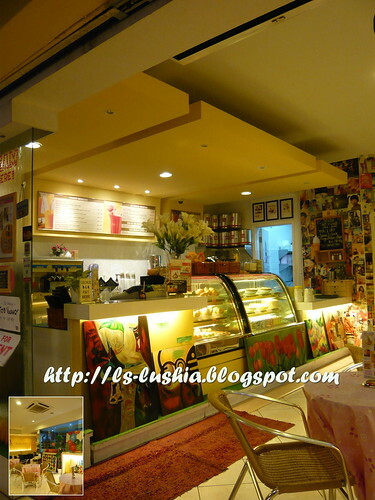 Wanted to try their cheesecake but the friendly waitress recomended their new Tiramisu Mango Yogurt cake. 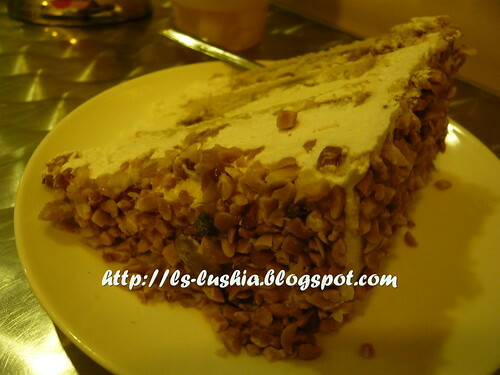 Ordered and tried, tasted ordinary and the cake is too dry. Probably it's a fat free cake - I don't know, But then again, there are too much of cream with slight (almost to 0) mango taste. A disapointing try, a wrong pick indeed but it doesn;t spoil the whole visit just because I love Mangoes!! 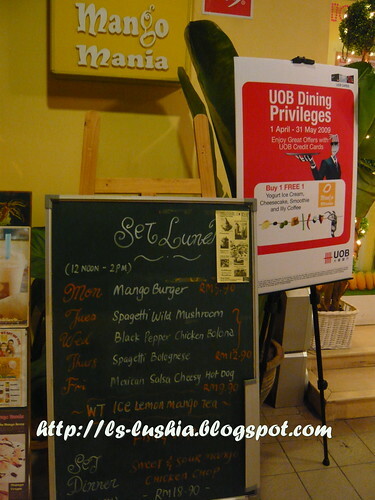 Mango mania is not only a dessert house, there are a few food selection as well like spaghetti and burgers. 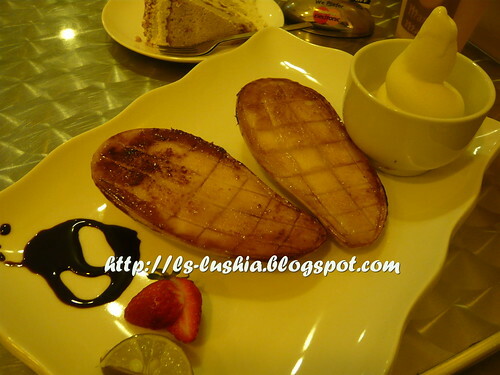 Mango Mania dessert cafe, a great choice for mango mania like me, a place for fruity and hearty mango desserts with a comfortable environment to chill out. taufulou-I love mangoes. It's a good try for me. If you like mangoes, might be good for you too :) Thanks for dropping by!